Paris Motor Show 2018: What Is It, Where Is It, How Do You Get There, and What Does It Cost? 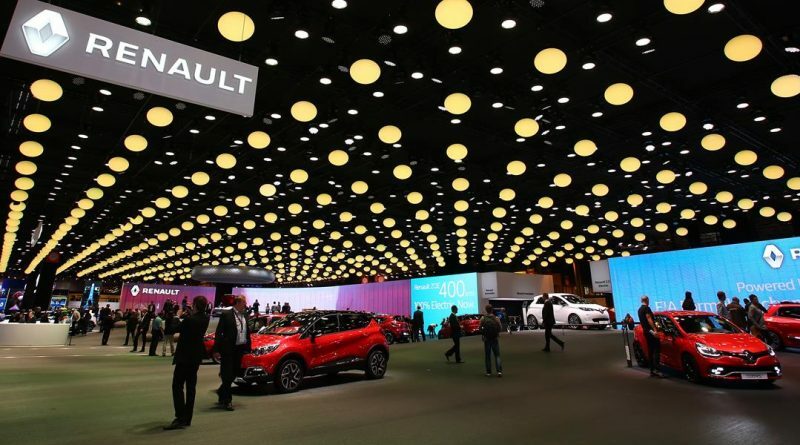 The automotive industry in France has been going far longer than most people give it credit for, but it’s still surprising to find that this year marks the 120th year of the Paris Motor Show. Taking place between Thursday 4 October and Sunday 14 October, it’s the only place to see every new car under one roof. A lot of pre-show publicity has centred on the number of manufacturers choosing to ‘pass’ presenting their vehicles – that’s Ford, Infiniti, Nissan, Volkswagen and Volvo – although Aston Martin and Lamborghini will be represented by local dealers. However, anyone planning their biannual trip to Paris will be delighted to know there will be no empty pavilions, with the 2018 show being extended to include two and three-wheeler vehicles. Eurostar runs up to 19 trains a day from London St Pancras, transporting you in comfort directly to the Gare du Nord station in the centre of Paris. A 45-minute Metro journey will find you at Porte de Versaille, right at the gates of the show. All standards of seating are easily bookable in advance via the Eurostar website, with £71 return tickets are still available at the time of publication. Direct flights are available to Paris’ main airport, Charles de Gaulle, from virtually every regional airport in the UK. Cheap flights are available from the budget carriers from as little as £55 return, while even British Airways will get you there and back from Heathrow from just £85. From there it’s again a simple Metro ride to the show. The nearest Metro stations are either Porte de Versailles (metro line 12) or Station Balard (metro line 8). A block of ten Paris Metro tickets can be purchased at the UK Eurostar station for £16, avoiding queues at the Paris end. These have unlimited life, so any tickets left over can be saved for another trip. For those taking the bus, aim for Arret Porte de Versailles. From central Paris, that is on the routes 28 and 80. Entrance to the show is just 16 euros (currently about £14.50) weekdays for an adult ticket, and 18 euros (£16) on weekends, while adding a child increases the cost by 9 euros (£8). Children under 11 will get in free. The show opens to the public on Thursday 4th October and is open from 10.00am to 8pm every day. There’s also late night opening till 10.00pm on 4th, 5th, 6th, 10th, 11th and 12th October. Sunday 14th October is the final day. Tickets can be purchased in advance at the official show website, but you won’t have any difficulties buying them at the door. Once through the entrance, the prime positions are unsurprisingly taken by the French manufacturers in Pavilion One (Renault, Citroen, DS and Peugeot) with the rest of the show being contained within nine other pavilions. As well as every major car manufacturer having their own stands, the show contains exhibitions, motoring accessories, boutiques, toys, models, and a vast array of merchandise available to purchase. Children are catered for with many attractions on the stands, and a feature of this show is the many branded motoring related items such as pens, T-shirts and hats given out on the individual stands. There’s also special live shows presented at specific times each day that will entertain everybody. Each Paris show includes a special exhibition, and this year visitors can discover an exceptional historic exhibition gathering titled Let’s hit the road! This is the essence of the Routes Mythiques, to share the ambitions and emotions created by journeys undertaken by car or motorbike. 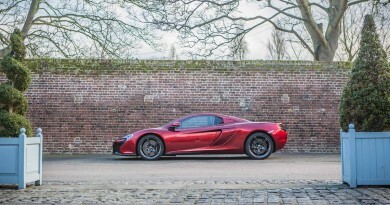 Eighty vehicles will be on display, presented with lively and cheerful drawings combined with animated pictures. The show halls will be overflowing with the latest new models, exciting concepts and cars you can buy in the UK – the show publicity often centres on the new launches at the show, but forgets that most of the cars revealed during 2018 will be on the stands to look around. This is your chance to see up close (and even sit in) all these new cars for the first time. A big international motor show provides an opportunity to directly compare your choice of car and to see the facelift or next generation concept before you commit to buy. Expected at the show is the new Audi A1, A4, and A6 Allroad, BMW 3 series, X5 and Z4, Kia Proceed, Mercedes A Class saloon and AMG A35, Porsche Macan, Skoda Kodiaq vRS and the exciting Suzuki Jimny. Sports car fans might be in for a treat if the next generation 911 is revealed. Early photos suggest this will be the most sensationally styled 911 ever. Wear comfortable shoes. The show is huge with some stands the size of a football pitch. Bring a small backpack. If you want to collect brochures, pens, hats, t-shirts and other freebies, you’ll soon tire of a thin plastic bag. Carry plenty of water. You will need it, especially as the halls heat up later in the day. Hand your coat or jacket in at the entrance to avoid carrying around the show. You’d be surprised just how heavy and cumbersome it can become. Print a copy of the pavilion halls layout in advance from the show website so you can make a plan of the car stands you really want to see. If you arrive in the morning, head for the pavilions towards the rear of the show to avoid the crowds and leave a visit to the front pavilions for the end of the day. It is possible to take an early flight or Eurostar train, see the show, and return home in a day, saving you the (significant) cost of a hotel room in Paris. If you find a cheap flight to Paris, double-check which Paris airport you’re flying into. Paris-Beauvais is more than sixty miles from the show halls! If you fancy a test drive of eco-friendly vehicles, a test drive centre for this year will be in the centre of Paris at the Place de la Concorde. If you have the time, don’t forget to bring your driving licence so you can test drive of one of the latest electric, hybrid or hydrogen cars. Eric Bottrell is a freelance journalist, qualified lawyer and Chartered Accountant, who has spent a career working in government, and for the public and private sectors. With a lifelong interest and career in transport, he regularly reports from International Trade and Expo shows on all transport related issues.